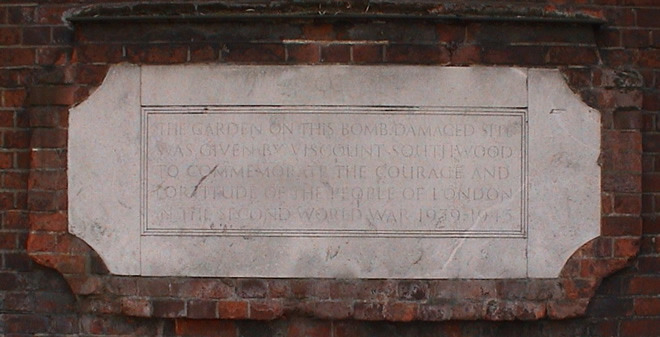 The garden in this bomb damaged site was given by Viscount Southwood to commemorate the courage and fortitude of the people of London in the Second World War 1939-1945. Standing in Piccadilly one sees 4 memorials on the wall: from left to right: Sotheran Fountain, Garden, Lyttelton Fountain, Railings. There are 3 more memorials in the garden.